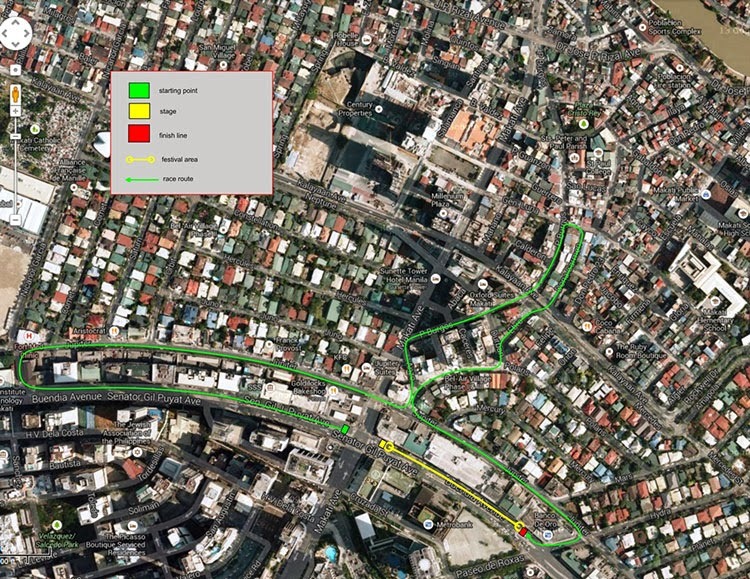 ITS A ZOMBIELAND OUT THERE AT MAKATI AFTER DARK. 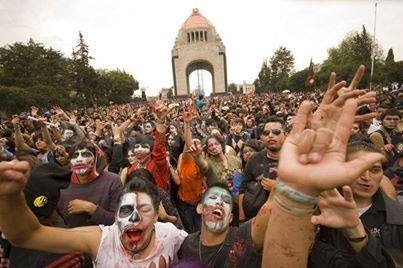 It is a zombieland out there in Makati, prepare to be chased by zombies and walkers alike as you run after side by side, this is a once in a lifetime event as hordes of zombies from all walks of life will join you celebrate the holloween. Jack TV’s “Playing first” campaign this October will keep Filipinos up-to-date with the latest of The Tomorrow People, Revolution and Arrow television series, showing just days after its initial telecast in the United States. Different plots that range from a teenager with special abilities, a vigilante fighting to rule his city again, to a group of survivors in a post-apocalyptic America—these stories of power struggle is the binding force behind Jack TV’s assembly of new and returning programs. The Tomorrow People follows the story of Stephen Jameson (Robbie Amell), a student who begins to question his sanity when he starts hearing voices and waking up in strange places. 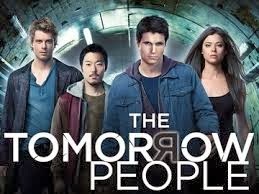 He meets the voices of John (Luke Mitchell), Cara (Peyton List) and Rusell (Aaron Yoo) who explains that they are all part of a genetically advanced race known as The Tomorrow People. Catch Stephen’s story premiering on October 12 at 8 p.m. on Jack TV. The post-apocalyptic tale of Revolution begins with a group of survivors looking to rebuild society after a mysterious worldwide blackout. After making the treacherous journey to the Tower and turning on the power for four minutes in last season’s finale, this season we learn the mysterious consequences this move has had on everyone. Follow Miles (Billy Burke), Aaron (Zac Orth) and Rachel (Elizabeth Mitchel) in a two-hour premier episode on October 12 at 9 p.m. on Jack TV. 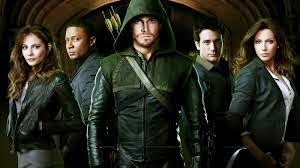 Inspired by DC Comics, Arrow continues the story of Oliver Queen (Stephen Amell) who returns to Starling City as a vigilante who is bent on righting the wrongs of injustice. It’s second season opens with Oliver’s allies—Diggle (David Ramsey) and Felicity (Emily Bett Rickards) flying to Lian Yu in search of Oliver who left the city after his best friend’s death. The second season of Arrow airs on October 13 at 8 p.m. on Jack TV. JackTV is seen on SkyCable Channel51, Global Destiny Ch. 30 and Cable Link Ch. 36 and various cable operators nationwide. ETC’S TRIPLE MATCH-AIRING TREAT COMING ON OCTOBER 8. This coming October 8 , 2013, ETC rolls out new shows and new seasons all on one big night. 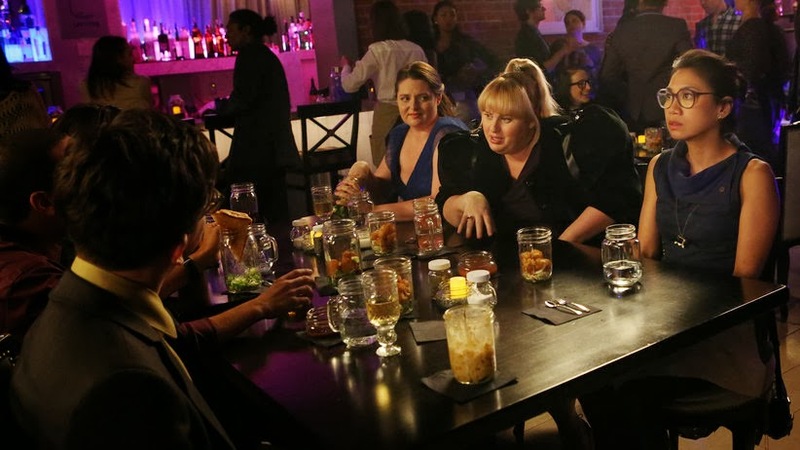 Adding to its ever-growing line-up of Match-Airing programs is the hilarious sitcom Super Fun Night and supernatural drama The Originals. 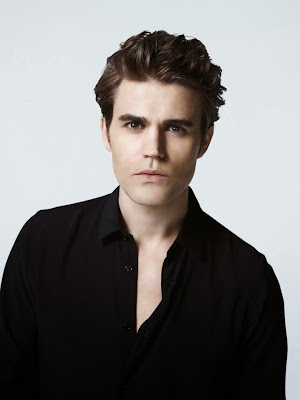 While returning for its fifth season is the fan favorite vampire drama The Vampire Diaries. Have a “Super Fun Night” every Tuesday on ETC with Rebel Wilson. 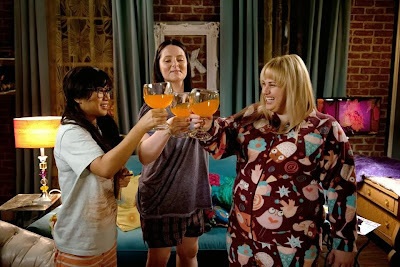 Premiering October 8 at 7:30pm, Wilson plays Kimmie Boubier, who for the last 13 years has lived a sheltered life with her two best friends and roommates, Helen-Alice (Liza Lapira) and Marika (Lauren Ash). However, when Kimmie receives a big promotion at the NYC law firm that she works at, she meets British attorney Richard Royce (Kevin Bishop), the son of the firm's senior partner. After mentioning that he likes girls with a “bit of chunk,” Kimmie cannot help but be attracted to the charming and handsome Richard. With Kimmie's life opening up to new possibilities, can she convince her best friends that life isn't just for the pretty and the popular, and that it's time that they started living life to the fullest? Catch up with the residents of Mystic Falls as a new school year starts in The Vampire Diaries Season 5 starting October 8 at 8PM on ETC. After spending a passion-filled summer with Damon (Ian Somerhalder), Elena (Nina Dobrev) is ready for her first day at Whitmore College. Excited to move in to her dorm with best friends Caroline (Candice Accola) and Bonnie (Kat Graham), unknown to her, Bonnie is in fact dead, having sacrificed her own life to bring back Elena’s Brother Jeremy (Steven R. McQueen). Meanwhile, a now very human, Katherine (Dobrev) pays an unexpected visit to the Salvatore Mansion, and Silas (Paul Wesley), the doppelganger of Stefan (Wesley), makes a terrifying appearance at the “End of Summer” party. 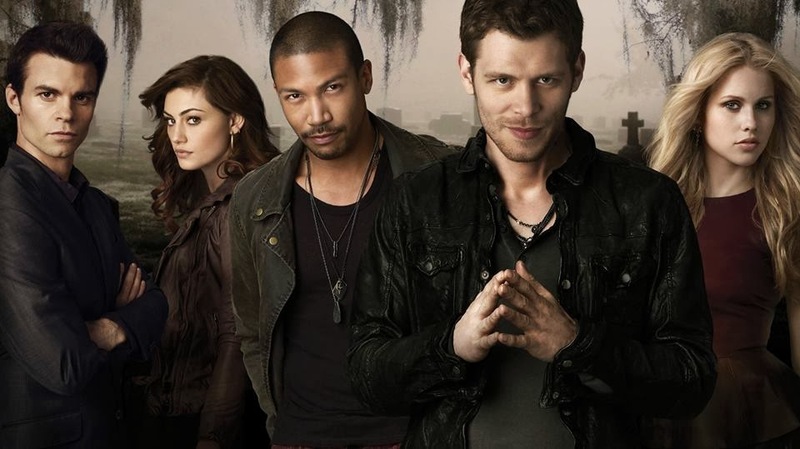 The Vampire Diaries spin-off The Originals premieres October 8, Tuesday at 10PM on ETC (regular timeslot every Saturday at 9PM). 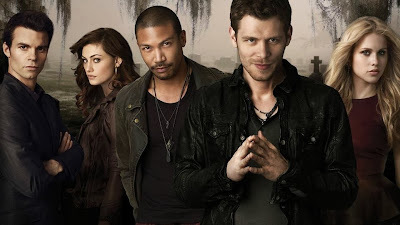 The series follows the original vampire-werewolf hybrid Klaus (Joseph Morgan) and his original vampire Brother and Sister Elijah (Daniel Gillies) and Rebekah (Claire Holt), as they return to New Orleans, the city their family helped build 300 years ago. However, Klaus is about to learn that this is not the same city that he left behind. His former protégé Marcel (Charles Michael Davis) now has total control of the supernatural inhabitants of the city—a city that he once ruled. Meanwhile Hayley (Phoebe Tonkin), a werewolf and Klaus’ onetime flame, also arrives in town but is taken hostage by a powerful witch named Sophie Deveraux (Daniella Pineda). After revealing some life-changing news to Klaus, Sophie bargains with him to do her bidding in return for Hayley’s life. Vowing to reclaim what was once his; Klaus is prepared to fight to take back the power, the city and his family. 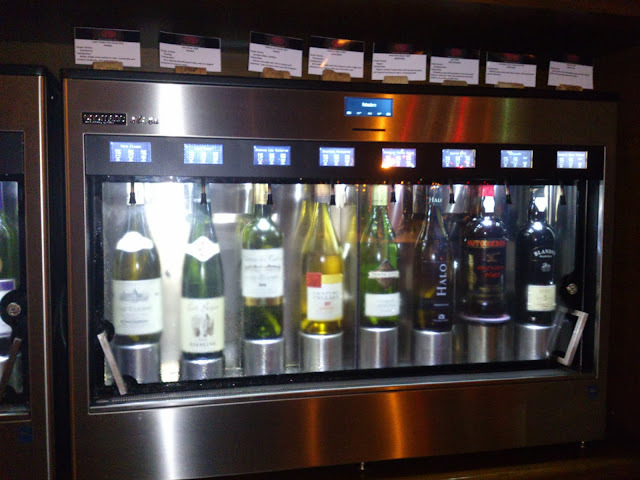 Wine Lab at Magosaburo Wine Lounge. The story of wines, like human beings, does not begin and end simply with their color. Red, white, and tawny refer to just one aspect of wine, and to limit the dimensions and complexity of this splendid drink to a single facet is irrational. 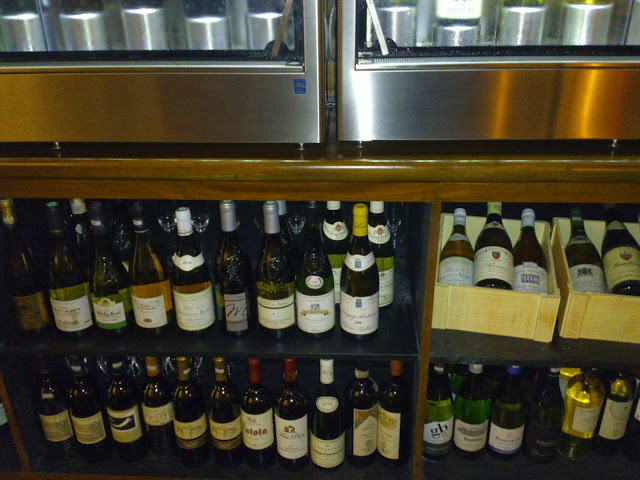 If anything, wine is best described by the region it hails from: the Bordeauxs, the Ports, the Champagnes, all the great vintages from Napa, the wine country in Australia, and other unique locations across the world. In as much as people are inextricably tied to their country of origin, for instance, so too is a good glass of Syrah. It takes a truly devoted team of wine lovers – not only sommeliers, connoisseurs, and gourmands, but also everyday aficionados – to establish a true haven that showcases the varied elements of wine. Far beyond an impressive and diverse selection, both art and science must come together in the same way the food perfectly paired with a wine forms an unforgettable taste experience. 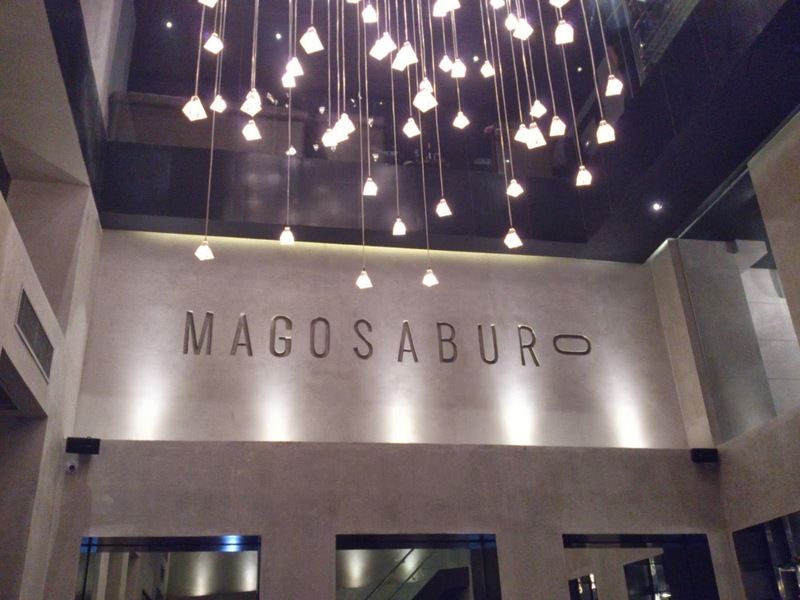 Abigail Tabuchi-Sumida, President of INSHOCK Philippines — the company behind Magosaburo and the Mago Wine Lounge — noted that “it was quite a challenge when Executive Chef Motomatsu and I brainstormed to create the menu”. Indeed, they found out that wine pairing is an exact discipline, involving a precise blending of tastes, textures, and aromas. The two spent countless hours determining the dynamics between each bottle of wine and dish. “We had several breakthrough moments, that’s for sure,” Sumida enthused. “In the end, when the flavors come together, it is very clear that our efforts paid off,” she continued. Lending his vast expertise to this venture is internationally renowned wine connoisseur Denny Wang, who serves as executive consultant to the Mago Wine Lounge. “The Mago Wine Lounge is predicated on a single, underlying thought: enhancing a wine lover’s experience by engaging all of the senses,” he said. 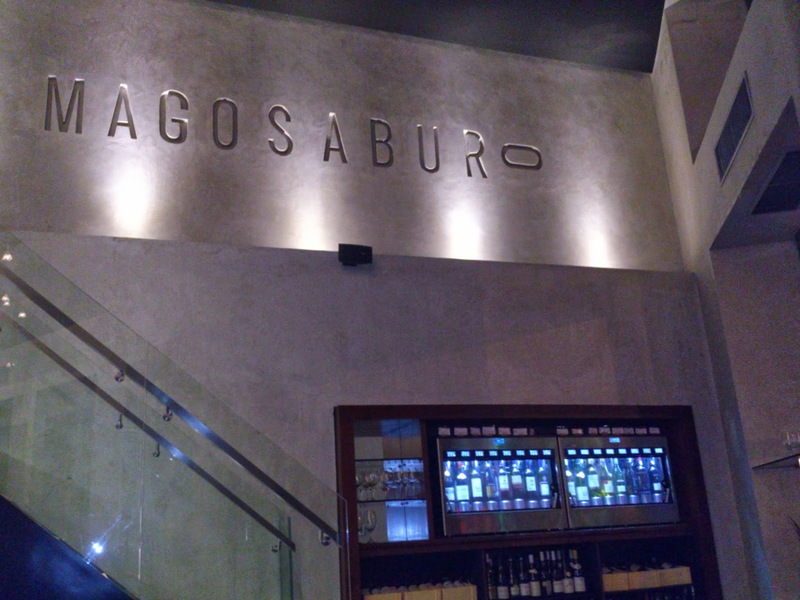 “As such, the Mago Wine Lounge was built entirely with wine in mind, from the décor, the cuisine, to the lighting. We had to create a space that complemented the superb selection that we individually hand-picked,” he explained further. Finding an ideal balance between a modern feel and laid-back comfort was likewise a priority for the Mago Wine Lounge. “The technology that we’ve adopted in order to ensure the quality of our wines is truly cutting-edge,” Tabuchi-Sumida pointed out. “Every step from handling, storage, and even serving follows a strict quality control protocol. We are as much a wine lab as we are a wine lounge,” she said with slight amusement.